Preface. Introduction Robert G Burgess. 1. The Old Girl Network: Reflections on the Fieldwork at St.Luke’s Sara Delamont. 2. The Researcher Exposed: A Natural History Martyn Hammersley. 3. Beachside Reconsidered: Reflections on a Methodological Apprenticeship Stephen J Ball. 4. Dimensions of Gender in a School: Reinventing the Wheel? Mary Fuller. 5. The Main in the Wendy House: Researching Infants’ Schools Ronald King. 6. 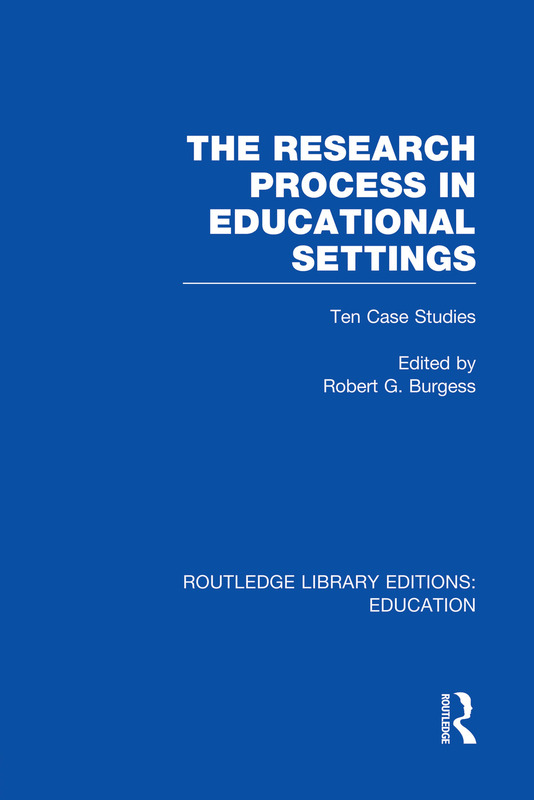 The Modification of Method in Researching Postgraduate Education Mary A Porter. 7. Wards and Deeds: Taking Knowledge and Control Seriously Paul Atkinson. 8. A Study in the Dissemination of Action Research Jean Rudduck. 9. Library Access, Library Use and User Education in Academic Sixth Forms: An Autobiographical Account Lawrence Stenhouse. 10. Chocolate Cream Soldiers: Sponsorship, Ethnography and Sectarianism David Jenkins. 11. Autobigraphical Accounts and Research Experience Robert G Burgess. Notes on Contributors. Index.